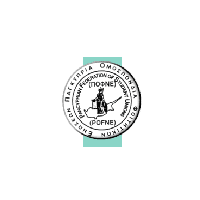 The foundation of POFEN in 1973 gave a new life to the student movement in Cyprus and worked as an appeal body for students. Since 1973, POFEN has been a pioneer in the fight for safeguarding student rights. The federation’s tactic is to work closely with all student unions, which will be instrumental in achieving unity of action and further massification of the Cypriot Student Movement. POFEN, true to its racing history, will continue to fight vigorously to resolve all students problems, for full state students care and for a better education future for the entire student union movement.